Conference Centre at Brentwood Theatre Conference Venue01277 230833work Conference CentreMain House – up to 176 seated or 299 standing in a variety of formats. Main House – up to 176 seated or 299 standing in a variety of formats. The Audrey Longman Studio - 35 seated in a variety of formats. 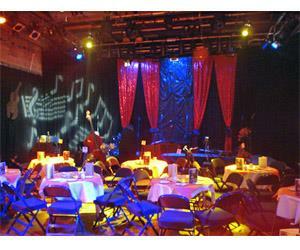 Brentwood Theatre is located just off Brentwood High Street near to Wilson's corner. Parking is available in public car parks nearby. Spaces for blue badge holders are available adjacent to the theatre.